Although I only considered myself to be a casual Whitney Houston at best, I find her untimely death to be disturbing and tragic. Her incredible talent was hard to escape as she certainly possessed one of the greatest voices of all time. While I didn’t buy her recordings, I always admired her vocal strength and ability to deliver a song with impressive range, power, and gusto. You can hear Houston’s undeniable influence in many female vocalists who try to emulate her style from Christina Aguilera to Beyoncé and beyond. 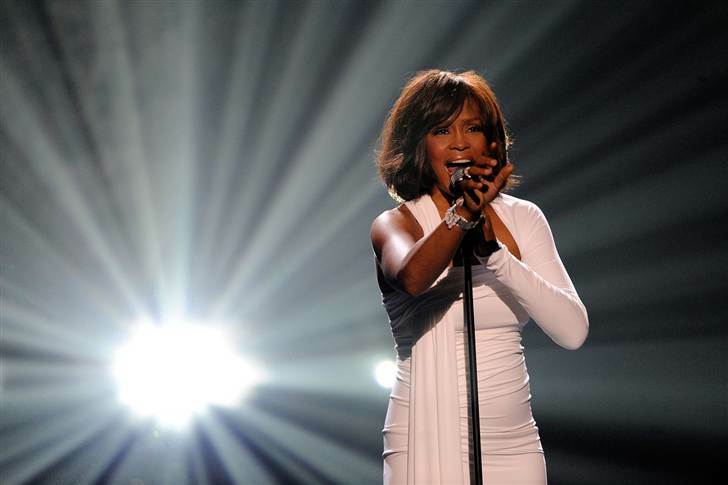 Whitney Houston has without question inspired generations. Unfortunately, Houston became more known of late for her scandalous and erratic behavior than for her musical legacy, but once she ruled radio, MTV, and the music charts. During the mid-80s and throughout the better part of the 90s, her voice was virtually inescapable. I always thought it was odd that she chose to hook up with Bobby Brown of all people, while enjoying the pinnacle of her success after her mega-hit film and soundtrack, The Bodyguard. Ironically, it seems Whitney needed a real life bodyguard to protect her from her own ill-fated decision to marry the notorious bad boy and ex-member of New Edition. No matter what your stance is on Whitney Houston’s music (love it or hate it), she made an eternal mark in music history by selling over 170 million records and will always be remembered as legendary. It always saddens me when I see someone take their talent for granted and throw it away with blatant disregard. May you rest in peace Whitney and I truly hope your broken heart has found its way home at long last.